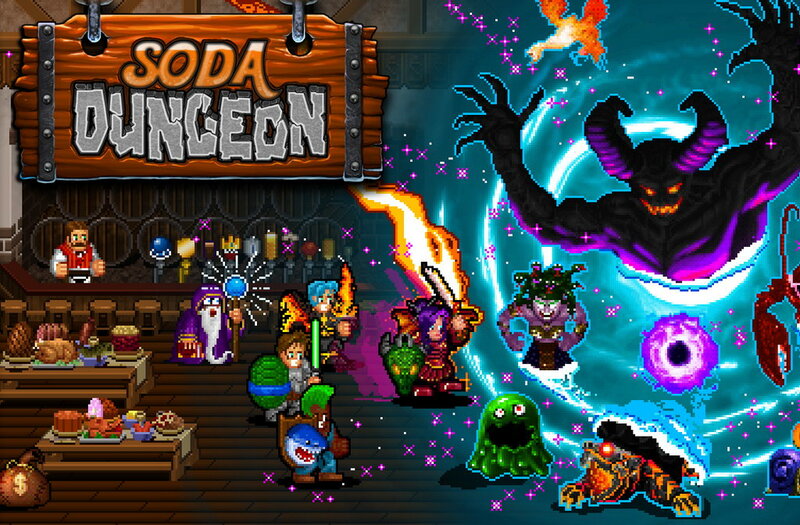 Soda Dungeon is a free-to-play management game made by AN Productions and Poxpower, and published by Armor Games. Manage your team of adventurers as you raid the local dungeon for treasure! 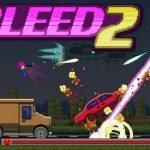 The smash-hit mobile game finally comes to your desktop. Soda Dungeon features hundreds of unique enemies and items to discover. Attract valuable classes to your tavern such as the Thief, Knight, Healer, Darkmage, Shifter, and more! Gold, legendary items, and more await you! With huge golems, interdimensional beings, demons, monster lobsters, and much, much more to slay, the only thing that ISN’T standing in your way is a pay wall. Ascend higher and higher in the dungeon as you advance through new dimensions, face huge dungeon bosses, and unlock the power of the ancient soda relics! Soda Dungeon is completely free to play, with no frustrating timers, lives system, or anything that might get in the way of a thirsty traveler’s dungeon delving. Earn Loot! Gold, legendary items, and more await you. Upgrade Your Tavern! Attract new patrons to your establishment and enlist their services. Soda Dungeon is a great casual RPG with a distinctive style and a sense of humour. It captures all the charm of the original on a much larger screen. Leave it running as you do other activities and check in later. First of all you have to take care of your hub level (tavern) to attract new and stronger heroes and store more powerful items. You do this by gathering gold in dungeon runs, but you can later invest in a passive ability that gives you gold while you are away. The game also features an auto-battle mode, which is handy for when you don't feel like doing all the clicking in lower levels of the dungeon, but you can definitely do the strategizing yourself if you want to. Unlike other free-to-play games, Soda Dungeon doesn't feel as if it's trying to not-so-subtly back you into a corner to get you to pay. Everything can be earned at a reasonable pace, and there are no timers or stamina. 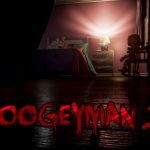 Amazing game overall. From the artwork to the catchy music! Loved it from the very first moment playing!